Travel Lovers, you can now create memories with every trip you take! If you love to travel and explore then our "Scratchable Travel Map" is just for you. 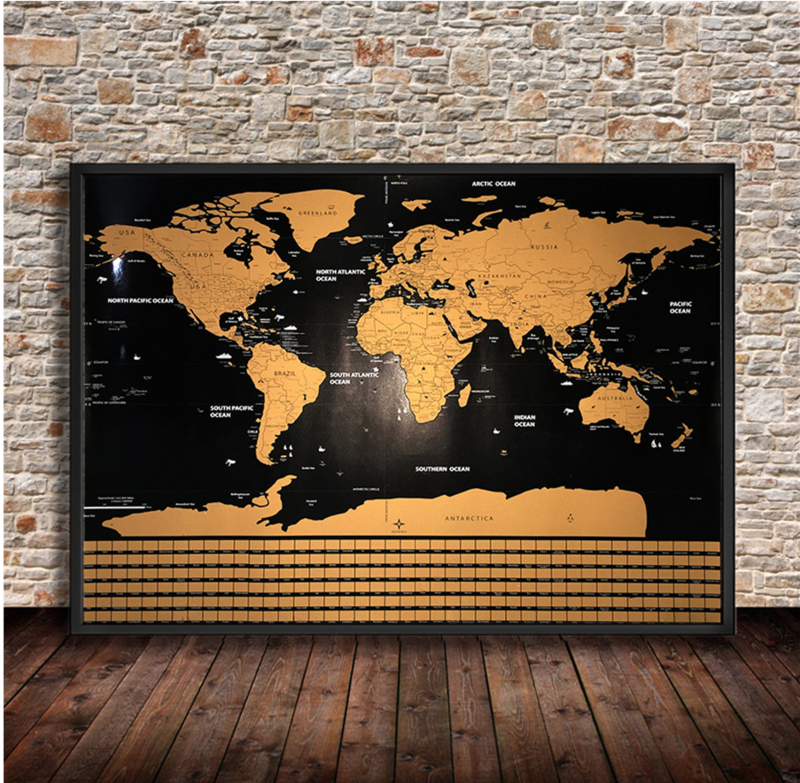 As now you will be able to easily keep a track of where you have been using this gorgeous black world map. This world map comes with a scratchable ability, so you can easily scratch off the country you have been to uncovering it's vibrant and inviting design. Each country is separated using a border so you can easily scratch it off using a coin or other similar object. This "Scratchable Travel Map" is a must-have for frequent travelers and wanderers, as apart from keeping a track of where they have been; you can now decide where you should head next keeping your options in mind. Think of the joy and satisfaction that will come when you scratch off one city after the other until you have officially traveled the world. A creative world map that will make you jump to get back home, so you can finally scratch off the place you have just visited. Moreover, the map makes for a stunning wall art poster, where you can share your adventures and travel history with your family and friends. A great conversation starter that will feed your wanderlust and keep you going until the next time! Available in one size - 82 x59 cm/ 32 x 23"